Booze as a Muse: writers and their works. The theme of drink in literature has been analysed in many publications, as well as extensively discussed in numerous conferences. However, relatively little has been said within the area of WRITER-DRINK-LITERATURE intersection. The very few publications available tend to focus on the drink-related problems of various writers, most often discussed from medical or biographical perspectives. The aim of this conference is to take a broader view, encompassing the writers( lives, immersed in the spirits, whether acting as a Muse, or not, but, more importantly, the extent to which the fuelling sources influenced (sic!) their literary works (poetry, fiction and non-fiction). The conference focuses predominantly on 20th century literature. We welcome proposals addressing the leading theme of the conference. – professor Rudolf Weiss (Vienna University). 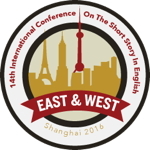 The deadline of abstract submission is 30 January 2016. There will be no conference fee. The conference volume is planned for publication at the beginning of 2017. Please, send the proposals to dieter.fuchs@univie.ac.at and klepuszewski@poczta.pl. Fantastika, coined by John Clute, is an umbrella term which incorporates the genres of fantasy, science fiction, and horror, but can also include alternative histories, steampunk, young adult fiction, or any other imaginative space. We are pleased to announce David Punter, Mark Bould, Sarah Ilott, and Chloé Buckley as our keynote speakers. Professor David Punter’s numerous publications include “‘Pity the Poor Immigrant’: Pity and the Colony’ in Postcolonial Theory in the Global Age. Dr. Mark Bould is the editor of Africa SF (Paradoxa 25) which includes his article ‘From anti-colonial struggle to neoliberal immiseration: Mohammed Dib’s Who Remembers the Sea, Sony Labou Tansi’s Life and a Half and Ahmed Khaled Towfik’s Utopia.” Dr. Sarah Ilott and Chloé Alexandra Germaine Buckley are the co-authors of “‘Fragmenting and becoming double’: Supplementary twins and abject bodies in Helen Oyeyemi’s The Icarus Girl” and are co-editing an upcoming edited collection on Oyeyemi. Please submit a 300 word abstract to fantastikaconference@gmail.com along with a 50 word bionote by March 1st, 2016. Visit us at http://www.fantastikajournal.com, like us on Facebook (“Fantastika Conference”), or follow us on Twitter (@FantastikaPress) for more up-to-date information about the event. And stay tuned for the special “Locating Fantastika” edition of The Luminary, featuring extended papers from last year’s conference, due out in 2016. The conference is hosted conjointly by Aix-Marseille and Montpellier Universities. Bursaries are available for doctoral students and young researchers. To apply, explain your need for support, your likely travel costs, and include a reference letter (from e.g. a supervisor). Further information on the website of the John Bunyan Society. The 5th International Conference of the European Society for Periodical Research (ESPRit). The deadline for proposals is 25 January 2016. We are pleased to announce that the Fourteenth Triennial Conference of the British Comparative Literature Association will be held at the University of Wolverhampton, UK from 12-15 July 2016. The theme of the conference is ‘Salvage’, a concept at the very heart of much literary and cultural activity. Translation, reception, re-reading — the vital substance of comparative literary research — all refer to processes by which literature’s significance is activated or released in acts of salvage, acts of saving and, indeed, salvation. Plenary speakers at the conference will include Professor (Emeritus) David Constantine. The year 2016 will see a number of anniversaries from the domain of literary and cultural studies within the European sphere alone. Prominent among these is a shared 400th anniversary, that of the death of Miguel de Cervantes and William Shakespeare. This anniversary, we envisage, will form a strand running in parallel to the main conference theme. Call for papers: Proposals are invited for papers, in English, of no more than 20 minutes’ duration, on or in relation to the conference’s theme of Salvage. Proposals, in the form of an abstract of 250 words accompanied by a brief ‘bio-note’ of 50 words at most, should be submitted by email to bcla2016@wlv.ac.uk by no later than 30 April 2016 (new updated deadline). The abstract should describe the proposed topic, make clear its connection to the conference’s theme, and indicate briefly how the treatment of the proposed topic constitutes a comparative approach to and analysis of the material concerned (in this regard, proposers may refer to the BCLA’s aims on the Association’s web site. Call for panels: Proposals are invited for panels, in English, comprising 3-4 papers each of no more than 20 minutes’ duration, on or in relation to the conference’s theme of Salvage. Proposals, in the form of an abstract of 250-300 words, should be submitted by email to bcla2016@wlv.ac.uk by no later than 30 April 2016 (new updated deadline). Panel proposers are requested to provide an abstract of 300-350 words, describing the proposed topic, establishing its connection to the conference’s theme, indicating briefly how the treatment of the proposed topic constitutes a comparative approach to and analysis of the material concerned (in this regard, proposers may refer to the BCLA(s mission statement on the Association’s web site) and explaining the links between and complementarity of the proposed papers. This abstract should be accompanied by synopses of 150-200 words of each of the papers, together with a brief ‘bio-note’ of 50 words at most for each of the contributors. Please visit our website (see above) for further information about the conference (plenary speakers, programme and activities, fees, accommodation), how to submit a paper and panel proposal and how to register. be linguistic consensus on at least three relevant key elements of the concept. TECHNOLOGICAL: Media are primarily seen as the technological means and infrastructure enabling and shaping the use of language. Technical frameworks like radio, TV, printing, new and social media leave traces in the linguistic styles and the texture of the discourse constructed. Each medium comes equipped with its own material-situational constraints and affordances. SEMIOTIC: Viewing media as sign systems or semiotic modes opens up a multimodal approach to text and discourse, which seeks to describe the patterns of mode co-operation, combination and integration. In this view, we ask for medium-specific multimodal patterns of texture. But fundamental mode differences, like the question of the autonomy or interdependence of speech and writing, also come to the fore. practices in all spheres of life – now often labelled ‘mediatization’ (cf. ANDROUTSOPOULOS 2014). This strand opens up the wide spectrum of genres circulating in a large number of possible media. It looks at the typical generic structures and the salient linguistic features of diverse media genres. What would seem particularly profitable are comparative approaches contrasting related genres in different media or inventorying the group of genres constitutive of certain media (e.g. newspaper, magazine, website etc.). As SFL has proved to be well applicable to modes other than language and to their combination, we also invite papers on multimodal media genres. This strand is geared towards identifying typical multimodal textures and their variability with respect to a number of medium-related factors. The crucial role of the medial language variants speech and writing in multimodal genres will be of particular importance here. This strand looks at how long-established media genres (e.g. news, advertising etc.) have changed over the years and adapted to shifting media logics. The transfer of a genre from one medium to another and concomitant linguistics/semiotic changes would seem particularly relevant here. Also, how new and social media have led to emerging linguistic practices or adopted and imported generic conventions and linguistic styles from related/neighbouring genres and media is of special importance to this thematic strand. In addition to papers in these four thematic strands and following the tradition of previous ESFL conferences, we also welcome contributions on any other aspect of Systemic Functional Linguistics. All abstracts will be reviewed anonymously. We, therefore, ask you not to include any information about your authorship in the title or body of your abstract. Presentations will be organized in 30-minute slots, providing 20 minutes for the talk and 10 minutes for questions/discussion and room changing. Longer presentations may be planned for multiple-author papers. The thematic sections will run parallel for most of the time. In addition, the conference will host 1 or 2 workshops, which should be related to the overall conference theme. We would, therefore, also welcome proposals for 90 or 120-minute workshops. The European Systemic Functional Linguistics Association is sponsoring a bursary for the ESFLC 2016 conference, in honour of Geoff Thompson. Young scholars (Ph.D students or those who have completed within the last two years) may apply for this bursary once their paper has been accepted by the conference organizing committee. The bursary covers the conference fee for one awardee; it also covers his/her travel + accommodation up to €200 (receipts must be provided). completed within the past two years, and a cover letter explaining how your proposed paper for the ESFLC furthers the work of Geoff Thompson to ESFLA Chair Anne McCabe (mccabea@slu.edu) by April 1st, 2016. The GT Bursary awardee will be notified by April 20th. This panel seeks to investigate food and/or medicine in contemporary Chinese or American or Chinese-American short stories. critical attention has been paid to this often most fundamental of narrative strategies. As food and medicine play vital roles in not just public health but also social and cultural health, this panel seeks to further the exploration of their roles in literature (focusing on short stories), and inspire interest in future study. and/or medicine where the important concomitant cultural signifiers related to nourishment and the table and/or restoration or degradation of the body assume a crucial narrative role. this is the focus of this panel. Recent Nobel Prize winner Tu Youyou is noted for her connecting TCM (Traditional Chinese Medicine) to effective treatment of malaria, which has reinvigorated interest in Chinese medicine in the West and sparked further debate over its usefulness and practicality. In turn, how is this reflected in (short) fiction? While there is a wealth of information on TCM, and its use in literature has been well established, there is a general lack of critical inquiry into its place in fiction, especially short fiction. Mo Yan writes that China lacks a modern short story tradition, yet Lu Xun and his contemporaries have produced copious volumes of mostly untranslated or perhaps untranslatable short work that includes food as well as TCM. Medicine is often presented as either the cure or cause of calamity in fiction just as the nourishing powers of food transform narratives and characters. Short stories should be written in, or translated to, English. This year marks not only Michel Foucault’s 90th birthday, but also the 50th anniversary of the publication of his seminal book Let Mots et les Choses, which made Foucault a prominent intellectual figure throughout Europe. We would like to commemorate this double anniversary with a one-day symposium organised by the Department of British Literature and Culture at Göttingen University in cooperation with the Göttingen Center for Genderstudies and the Center for Theory of Culture and Society. While Foucault has introduced many persistent concepts to the fields of critical, cultural, and literary theory, one that has increasingly attracted attention during the past ten to fifteen years is the archive. c) a singular space that can be experienced aesthetically and that therefore belongs to a group of socially and historically constructed spaces that Foucault referred to elsewhere as ‘heterotopias’. As concept, ‘the archive’ thus finds itself at the centre of several current academic debates and concerns. What is more, ‘the archive’ can often be seen as a driving force behind recent transformations of the fields of literary and cultural studies, heralding important turns such as the material, the spatial, or the medial turn. We invite proposals for 20-minute papers that investigate the relevance of Michel Foucault and his concept of the archive for literary, cultural, and media studies. We intend to publish a selection of papers after the conference. One or two panels of the symposium will be reserved for young scholars. We therefore encourage graduate and postgraduate students to apply. Please send abstracts of no more than 300 words, accompanied by a short biographical note to johannes.schlegel@phil.uni-goettingen.de no later than April 10. We will notify you by April 17. Much recent scholarship on the work of J. M. Coetzee has focused on the relationship of his work to specific writers and literary traditions as well as to the broader philosophical tradition. Coetzee’s interests and activities, however, extend beyond the text-based focus of most of this scholarship to collaborations with visual artists and composers as well as text-based performance arts like film and opera, not to mention poetry. At the same time, the recently expanded Coetzee archive is enhancing our understanding of his long-standing engagement with forms like film and photography, providing the basis for the recently published Two Screenplays (UCT Press, 2014), and shedding light on the range of adaptations for theatre and film that have been staged and mooted over the years. Reorienting Coetzee scholarship around a broader range of artistic forms will, it is hoped, bring new material and contexts to existing areas of critical debate. Coetzee’s Other Arts aims to offer fresh perspectives on such topics as the representation of the body in the fiction, Coetzee’s interest in nonhuman animals, his engagement with philosophy and the philosophy of language, his work’s relationship to history and politics, and the various ways in which his work is located – regionally, nationally and internationally. Coetzee’s persistent reworking of the novel form and conscious engagement with its history, as well as his sustained concern with textuality and the materiality of writing, will act as a platform for a reconsideration of questions of genre and medium, building on and contributing to existing scholarship on, for example, the relationship between drama and the novel form (Hodgson Anderson 2009, Kurnick 2012, Marshall 1986, Puchner 2002). It is also hoped that efforts to conceptualise Coetzee’s relationship with art forms other than narrative fiction will contribute to scholarship on adaptation, intermediality and performance. The conference will be hosted at the University of the Western Cape, and is co-organised by UWC Department of English and the Faculty of English Language and Literature, Oxford. As 2016 marks the centenary of the Battle of the Somme which profoundly shaped Jones’s imagination and thought, it provides an ideal moment to reconsider the entirety of Jones’s engagement with the many, various, elusive and intertwined ‘pasts’ through which he conceived history and culture. It will be an opportunity to explore Jones’s own style, subject matter, allusive practice and intellectual questions including the role of ‘memory’, ‘inheritance’ and ‘history’ in art and life, while also reflecting upon Jones’s own past and contemporary moment. A Jonesian ‘Theology of History’? The deadline for paper proposals is 31 January, 2016. “Peripheral Modernity and the South Asian Literary-World” is a conference panel, jointly held by Sourit Bhattacharya (University of Warwick) and Priyanka Basu (SOAS, London), at the 24th Biennial European Conference on South Asian Studies (ECSAS), to take place at the University of Warsaw, Poland, July 27-30, 2016. The 2008 global downturn has compelled the social sciences and humanities to refocus on the concept of “crisis” in capitalism and rethink the relations between “core” and “periphery.” What is crucial to this era of crisis is the emergence of the BRICS countries and the corresponding shifts in the world system. Debates on world literature and comparitivism have been alert to these readjustments (Moretti, 2000; Orsini, 2003; Spivak 2003; Damrosch, 2005; Warwick ReC, 2015) as well as the proliferation of the neo-social realist novel (Adiga, Hamid, etc). Given the important place of South Asia in contemporary literary and cultural studies debates, this panel would like to interrogate the South Asian region through the lens of “peripheral modernity.” In her article, “Aspects of Peripheral Modernisms,” (ARIEL, 2009), Benita Parry asks the scholars in postcolonial and world literature studies to approach the modern ‘world’ not as multiverse or plural but essentially a ‘one and unequal’ system where core, peripheral, and semi-peripheral societies are coerced together for capitalist exploitation. Often such a system results in a literary mode that represents the “incongruous overlapping of social realities and experiences from radically different historical moments.” (Parry 30). Borrowing from Michael Löwy, Parry calls this mode “irrealism” which is marked by the juxtaposition of “the mundane and the fantastic, the recognizable and the improbable, the seasonal and the eccentric, the earthborn and the fabulous, the legible and the oneiric, historically inflected and mystical states of consciousness” (Parry 39). Is South Asia a periphery to the capitalist world system or has it set up its (associated) system of core and peripheries (enabled by the strategic and economic negotiations between India and other SAARC nations)? What role do ‘social’ components such as space, gender, or caste play in understanding the peripherality of modernity? Could terrorism or civil war, petro-capitalism or religious fundamentalism tell us more about this specific arena of capitalist modernity? How do we situate the vernacular aesthetics or the contemporary popularity of white collar English novels in this? Finally, how are we making a “literary world-system” in South Asia through the international circulation and reception of Anglophone literature and awards? The panel invites proposals based on literary, visual, and performance-based texts to uniquely situate South Asian transformations in the past decades. ​Submission Procedure: The last date of sending abstracts for paper presentations is November 30, 2015. The abstracts must consist of: a paper title, the name/s or email address/es of the author/s, a short abstract of 300 characters, a long abstract of 250 words, and a short bio-note (75 words). The ‘propose a paper link’ is at the bottom of the website, highlighted in red.